suzumoku is a Japanese singer and songwriter from Shizuoka. 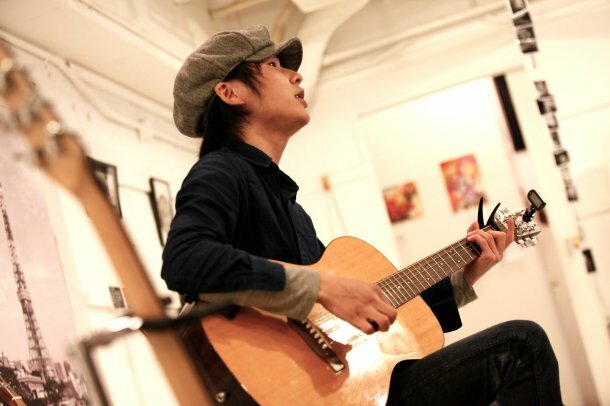 He began to play the guitar in eighth grade and song writing at the same time. He started his career singing in the streets of the Shizuoka region. After high school, he entered the school in making musical instruments, engaged in the production of guitars and basses. As a street musician and guitar maker, he started to seriously think of which way to go, and he decided to become a professional musician. Moved to Tokyo in January 2007 and released his debut album. Mainly live in the metropolitan area to continue his work, he formed an union with PE’Z as they became known as pe’zmoku, an instrumental jazz band since 2008. Accumulated more experience, starting his solo career in earnest in 2010. Now he still has the street music feeling to his songs, making his calm, well written songs something special.